Hello, sunshine! Hello, warm weather! Hello, outdoors! We are so excited you’re here. Now that this beautiful weather is upon us, I can’t seem to sit inside a moment longer. And neither can my girls, who are 2.5 years old and 15 months. We are ready to hit the walking paths, picnic at the park, visit the zoo and so much more. Sound intimidating? 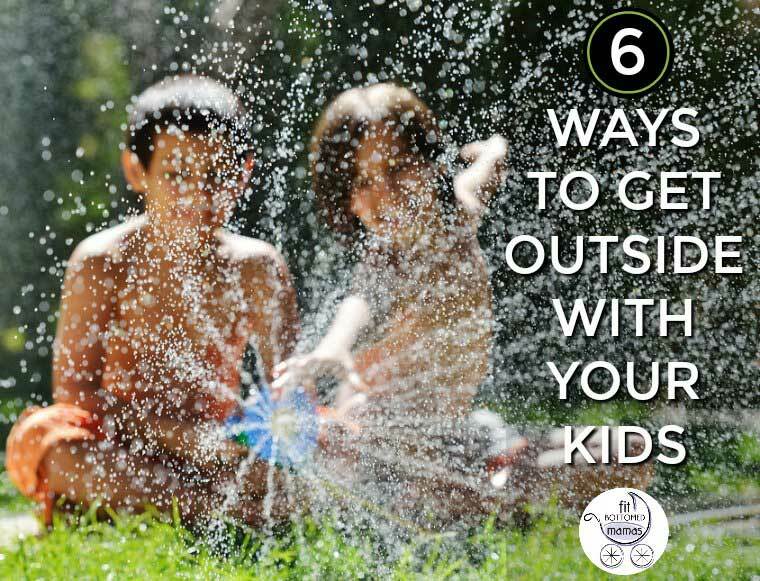 Getting outside with your little ones doesn’t have to be an extravagant ordeal. Here are some of my favorite outdoor activities that aren’t your typical zoo outing — and they don’t take you too far from home. 1. Play in your driveway. One of our favorite and easiest places to play outside is our own driveway. We keep a few simple activities in our garage that are ready to go. Things like bubbles, chalk and a few balls can keep us entertained easily. My oldest loves to lay on the driveway to be traced with her little sister. She’s getting into self portraits and likes to add everything from her eyes and hair to her “beautiful” necklaces. 2. Hit your neighborhood park. We are lucky in Kansas City to have a lot of great neighborhood parks close by. We often hop in the stroller with a packed lunch and settle in for the morning. In addition to the city parks, our neighborhood elementary school has a great playground that we love to walk to in the afternoon. 3. Bust out the water toys. At the first sign of warm weather sticking around, I drag our water table and baby pool out of storage. They are both pretty easy to fill with a few buckets of water and are basically a kid magnet! Sometimes we gear up in our bathing suits, other times we play in our clothes — and sometimes we strip down to a diaper. Pouring water from one cup to another is a great sensory experience. Always remember to keep an eye on your child at all times when water is involved! 4. Go to a splash park. As the weather heats up, especially later in summer, finding a splash park is a bit more of a to-do (as well as a need-to-do). I pack a towel to dry off with and use for a snack picnic. And don’t forget the sunscreen and hat! 5. Go shopping. Outdoor shopping centers can be a fun place to let your kids stretch their legs. I recently met up with a cousin and her daughter for lunch and then we let the girls skip around outside. We made a big loop around the center and then packed up our tired toddlers — who were more than ready for a nap — back in the car. 6. Go for a walk. I don’t always have a ton of time between naps and preschool, but sometimes 30 minutes sitting in the house feels like a lot longer. That’s when we like to get outside and take the baby for a walk. We don’t always make it too far from home, but it’s an easy way to get some fresh air. My trick to getting outside as often as possible is to keep it simple. We love getting out but it can seem like a production. Cut out the fluff and let the fresh air and warm breeze be your motivation.